From an early age young children take an interest in playing with balls: they like to toss and kick them and crawl or walk after them. As they get older children enjoy playing ball games with their peers and their parents. And the more they practice catching, throwing, kicking and hitting the more skilled they become. Young children with motor difficulties (DCD/dyspraxia, low muscle tone, ASD and joint hypermobility) often do not acquire the basic ball skills needed for full participation in playground games and physical education (PE) that involve catching, throwing, kicking and hitting. Young children with poor ball skills are usually very aware that they cannot do what their peers can do, and may avoid or be excluded from playground games. The experience of repeated failure affects their confidence and often makes them reluctant to practice ball skills with teachers and parents. Why do some children fail to acquire the basic ball skills? ► The ability to use information from the environment and the movement of the ball to plan the catching, throwing or hitting actions . ► The ability coordinate the actions of the head, trunk and limbs to achieve the desired result - a process referred to as motor planning. Children with motor coordination difficulties may have difficulties with one or both these aspects of ball skills. Research shows that children with DCD do not form internal models to guide their actions in the same way that typically developing children do. Children on the autism spectrum have difficulties learning tasks that require prediction and anticipation. 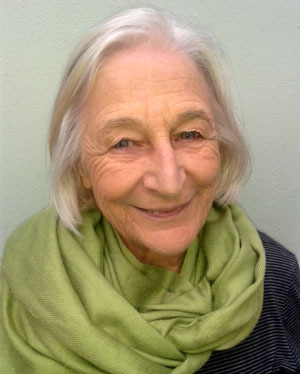 Children with generalized joint hypermobility (low muscle tone) often have a fearful (highly sensitive) temperament which affects their attention abilities when learning challenging tasks and also makes them react very negatively to errors. Jason, aged 8, complains that he is not good at catching balls. He get frustrated because the boys at school do not allow him to join in their games at recess. His confidence in his ball catching abilities is so poor that he initially refuses to engage in a ball catching activity with me. I manage to get him to at least try a few times. Each time I throw the ball to him he turns his head and ducks slightly to the side as if he expects the ball to hit him in the face. The reason for this automatic defensive response is that he has not learned to watch the thrower to get the information he needs to predict the trajectory and velocity of the ball and plan the best place and time to intercept the ball. All he sees is the ball coming towards him and he turns his head to avoid being in hit in the face. (Remember that one of the core deficits in autism is the ability to predict what happens next.) No wonder he has no confidence in his ball catching abilities. My first job as his therapist/trainer is to help him develop his ability to predict the path of a moving ball, and at the same time build his confidence by providing many opportunities for catching a ball successful. So we start with a ball rolling game. We create a goal using two boxes and Jason stands ready to stop me from scoring goals. I roll the ball towards Jason so that he has to take a small step sideways to intercept the ball. To be quite sure that Jason pays attention to my actions as I get ready to roll the ball and then visually follow the ball as it rolls in his direction I cue him: "Are you watching me? Here comes the ball" He intercepts the ball successfully each time I roll it to him. With practice he starts to move sideways soon after I release the ball because he has learned to predict the path the ball will move along and moves into position to catch it easily. As his confidence increases I speed up the pace of my delivery so that he needs to react faster. Next we practice catching the ball. Jason is so pleased with his success and stopping me from getting goals that he is willing to play a real catching game with me. I let Jason stands facing me with his arms stretched forwards at chest height and his hands positioned facing each other and ready to catch the ball. I throw the ball from a short distance away so that he can easily catch the ball by moving the hands together at the right moment.. To do this he has to watch the ball in my hand from the start of my throwing action until the ball leaves my hand. Then he has to anticipate the moment when the ball will be between his hands so that he can close his hands on the ball at the right moment. Jason manages to catch the ball 6 out of 10 times. He is so pleased with his success that he insists we keep on playing for another 20 tries. Children learn from a young age to pay attention to what is happening around them and to use the information they pickup to predict and anticipate what is going to happen next, as well as to plan their own actions. In catching and other interception tasks, visual pickup provides information about the size, trajectory and velocity of the ball and allows the catcher to anticipate the right place and time for the hands to catch the ball. A very important aspect of visual pickup for catching is paying attention to the action of the person throwing the ball - the thrower's body movements provide important cues about the timing and direction of the ball when it is released from the hand. Paying attention to the thrower's hand movements just before the ball is released as well as the path of the ball immediately after release provides additional information that allows the catcher to predict the trajectory and velocity of the ball, which in turn allows for planning the movement of the hands towards the best place and right time to intercept the ball. Once the ball has left the thrower's hand, the person catching the ball will usually shift the gaze to a point in space to where he expects to catch the ball so that visual feedback can be used for the final adjustments of the position of the hands as they move to take hold of the ball. This rapid shift in the direction of the gaze allows the catcher to anticipate the approach of the ball to close to the best place to catch the ball and move the hands close to the position. This allows the catcher to visually follow the ball as it approaches the hands and to adjust the position of the hands as they close in on the ball with a firm and well placed grasp. If the ball moves slowly towards the catcher it is possible to visually follow the ball as it moves forwards. However, it is still important to decide when and where the best place will be to intercept the ball to allow the movement brain to plan and implement the movements needed to catch it. This ability to predict the trajectory of a ball based on visual information pickup is present from infancy. Toddlers love to chase after, and will successfully intercept a successfully a rolled ball. They also enjoy catching a carefully thrown ball. reaching out their arms in readiness for catching and then bending the arms to secure ithe ball against the chest. To do this successfully requires visual information to guide their actions. Task specific experience is needed for learning to select what information is important and what can be ignored. When catching balls of different sizes and weights, attending to the size of the ball is important. The color is only important if you know that different colored balls have different weights. In a group situation it is important to pay attention to the person throwing the ball and to ignore information about people nearby that are moving about. In throwing activities, visual attention is directed towards the target. If the target is static, a proficient person will usually briefly fix the gaze on a small area of the target just prior to initiating the throwing action. This brief visual fixation on the target is thought to allow the brain to fine tune the movement plan for the throwing action. Children with movement difficulties have often not learned fix their gaze on one small spot, but will shift the gaze in different directions at this critical point in planning the movement. In ball games where the target is moving, such as dodge ball ot throwing to a team mate in netball visual information is needed to predict where the target will be at some future time so that the ball can be directed to reach the target at exactly the right place and time. 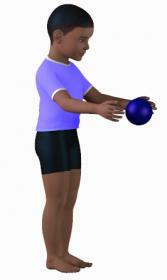 As with catching tasks experience of throwing a ball to a target teaches the child to select what information is important and what can be ignored. Acquiring motor task proficiency takes repeated practice and persistence despite many failed attempts. But here is the important thing to understand, learning from practice is greatest when there is an attainable goal and practice leads to success most of the time. The best way to ensure repeated experience of success is to adapt the task, the goal and the environment so that the child can succeed most of the time. The next step is to adapt the task so that it is a little more difficult and the child needs to adjust his/her actions to succeed. Using a larger baseball bat and a bigger ball allows the child to hit the ball successfully most times. Changing the instruction to hit as hard as you can (rather than a far as you can ) may elicit larger swing and more effective follow through. Catching a soccer sized ball that is bounced to the child, rather than thrown is often easier for the child to catch. Practicing catching a bounced ball provides practice in visual pickup from the thrower, visual following, anticipating the best place to catch the ball and the experience of success. When the child has learned to visually attend to important information from the environment, the movement of the hands quickly becomes more successful as the child learns to directly transform information related to the ball's size, trajectory and velocity into a motor plan. Interestingly if you carefully watch the child's hands at the moment of catching you will see a very rapid extension of the fingers just before the hands close over the ball, This is an indication that the catching action has become more automated. 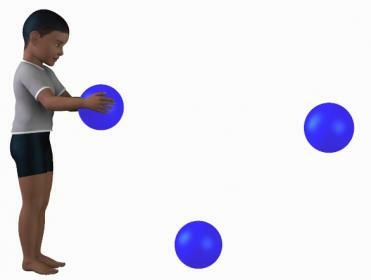 Once the child successfully catches a ball bounced directly towards him, the next step is the bounce the ball so that it passes to the left or right of the child so that a sideways step is needed to catch the ball. Below I have listed the basic ball handling skills that one can expect a child to have mastered by the age of 6-7 years. These basic abilities provide a foundation for learning more advanced visual attention and pickup, and ball handling skills children acquire when they engage in games and sport activities. Although each different fundamental ball skill requires particular information pickup and prediction as well movement sequences to achieve the goal, children with good ball skills also have a number of emotional and attention abilities that support their learning. ► Willingness to persist in the face of failure. They make errors, learn from their errors and keep trying. ► Ability to explore different ways of doing a task until they find a good solution. ► Know how to keep their attention focussed on the task at hand and are not easily distracted by what is going on in the environment. 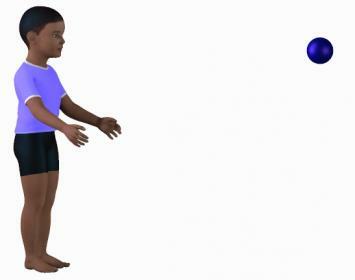 By the age of 5-6 years one can expect a a child to catch a soccer-sized ball that is thrown by a person standing still so that the ball moves straight towards the child or passes 1-2 meters to the side of the child. 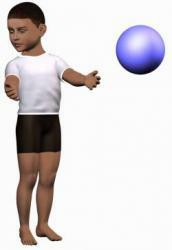 Children aged 7-8 years are starting to learn to catch a ball thrown by a person who is moving. By the age of 6-7 years one can expect a child to catch a tennis ball with two hands when it is thrown by a person standing still so that the ball moves straight towards the child. By this age children can reach up to catch a ball as well as take one or more steps to the side to position themselves to catch a ball passing to the side. The ability to catch a tennis ball with one hand takes practice and the child's ability to do so depends on experience. ► Throw a tennis ball at a 40 cm diameter target at head height on a wall at a distance of 3 meters. ► Throw a soccer sized ball from above the head a distance of 4 meters. ► Use a sidearm patterns to throw a soccer sized ball straight ahead a distance of 4 meters. ► Throw a tennis ball up past the face and catch it again. ► Bounce a tennis ball in front of the body and catch it again with 2 hands. ► Repeatedly bounce a soccer-sized ball on the floor with one or two hands. At the age of 5-7 a child should be able to kick a soccer-sized ball towards a "goal" 7 out of 10 tries.